The dress which is credited with making white weddings the only way to say 'I do' is really a deep cream colour although some of the depth we see in it today has been the effects of time on the delicate material. Victoria herself described her wedding gown as being ''an imitation of an old design'' and it does have the air of Austen about it. The waist is high, although not quite Empire line, and the neck is low with just a hint of shoulder going on there - very Regency indeed. The skirt is full with a lot of volume round the hips but what you really remember about this gown is the sleeves. It's here that the Honiton lace for which the dress is so well known really comes into play. The sleeves finish just below the elbow in flounces of the pretty lace which was famously made for Victoria in Devon and credited with helping boost the cottage industries there and across the country. Victoria summed her outfit up as ''a white satin dress with a deep flounce of Honiton lace'' and so committed one of the most famous royal wedding gowns in history to her diary in a fabulous example of royal understatement. There was a train. Of course there was a train. All royal weddings have a train and when a queen regnant says 'I do' it's a big train. 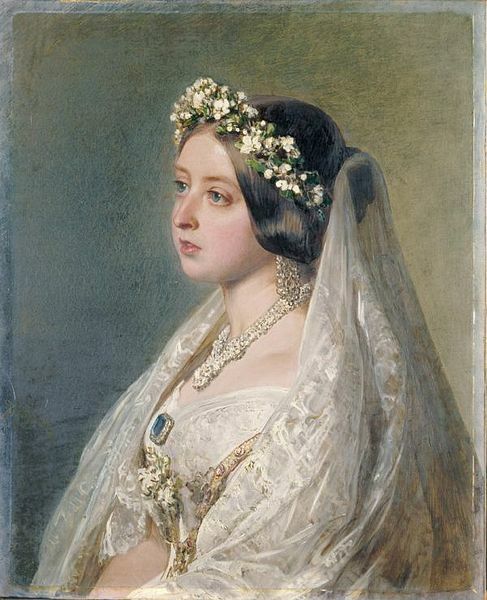 Victoria's measured around 18 feet and was covered by a lace veil. But there was no tiara. Instead, the young queen added a band of orange blossom flowers to the top of her veil and let a present from her new husband, a sapphire and diamond brooch, do all the sparkling in this royal wedding outfit. 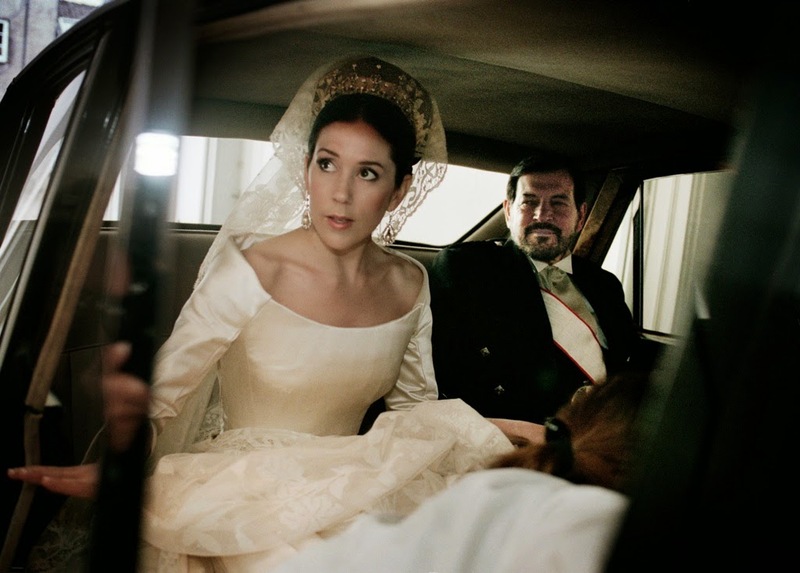 Victoria's wedding dress was an inspiration to thousands and helped cement the idea of a bride in white in modern marriage lore. 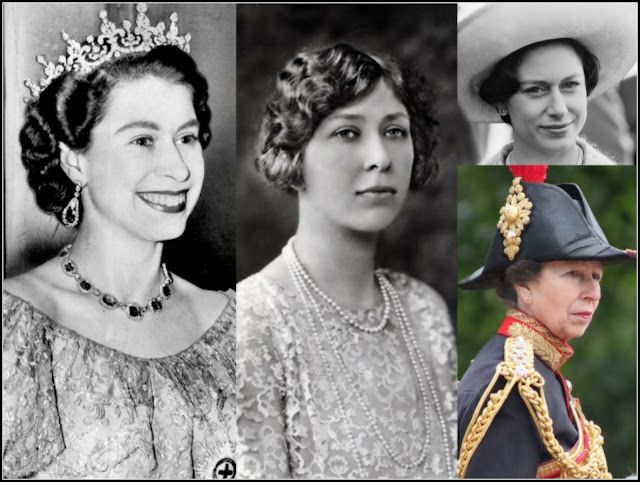 The romantic queen wore some of the lace to her own children's christenings while her youngest daughter, Beatrice, was allowed to use it in her own wedding outfit ( when mama finally agreed to her getting married). 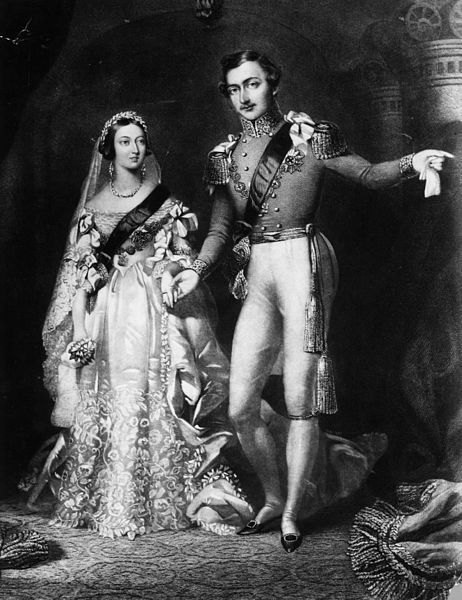 Victoria's wedding gown was a national event, with its focus on helping local industry (as well as lace from Honiton, the satin of the gown was made in another area in need of a boost, Spitalfeilds in London) as well as a moment of epic royal romance. It has its place in history and is well worth enjoying even today.